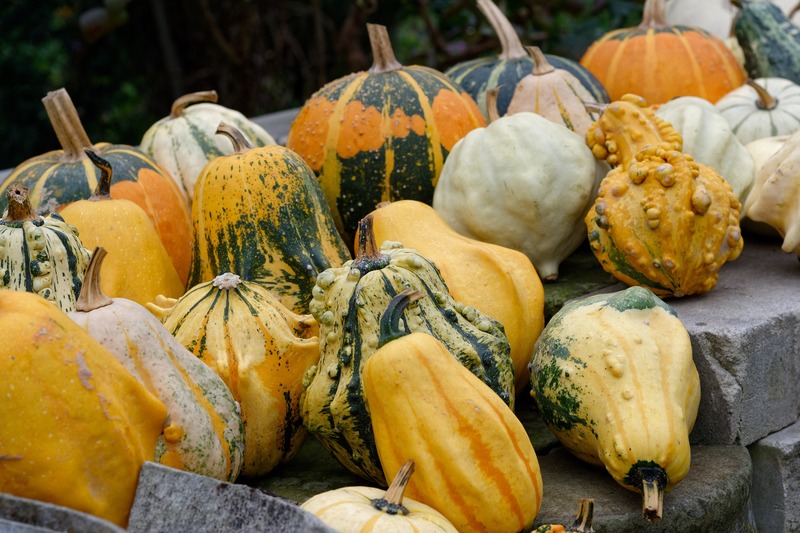 With the aroma of pumpkin spice filling the air, and as colorful gourds appear on porches and in shop windows throughout the District, fall has finally arrived in D.C. Bring the allure of autumn into your home at The Belgard with these four easy ways to get in the fall feels — without sacrificing space. Spruce up your doorstep for fall with an autumn-inspired welcome mat. We love these options from Etsy! Adding a harvest wreath to your front door is another great way to create an impression from the moment you and your guests walk into your home; find a number of fall wreaths at West Elm’s storefront on 14th Street or check them out online. After an afternoon enjoying the crisp fall air and admiring the beauty of the changing leaves, bring that experience inside by framing several of your souvenirs. Press leaves between the pages of a book (place tissue paper on either side of the leaves) for a few days, then frame and hang them for a lovely fall display that doesn’t take any floor space! Who doesn’t love a pumpkin display in the fall? While pumpkins are an easy fall favorite, they can take up quite a bit of space in compact floor plans. Luckily, mini-pumpkins and gourds are a great way to make a stunning autumn centerpiece, no matter the space! Line them along a console table, or fill a glass vase for a great impact piece — swing by the neighborhood Trader Joe’s to pick some up. Complete your fall décor with a few finishing touches. Light a candle or two with a seasonal scent to really infuse your space with autumn’s delights — we like Salt & Sundry’s selection at Union Market. On your way back, pick up a few seasonal treats from Pluma by Bluebird Bakery, so you’re always ready to entertain — or for you to savor. How are you decorating your residence at The Belgard this fall? Have other tips to share? Tag us in your fall home décor photos on Instagram, and you could be featured on our account.